Wichita, the county seat of Sedgwick County, on the Arkansas River, is the largest city in Kansas with a current population in excess of 386,000 people. There are currently nine funeral homes in Wichita, located around the city. With seven of these homes within five miles of the center, residents have a wide variety of choice. 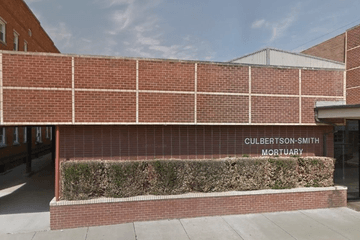 The city has four crematoriums, and there are 13 cemeteries and memorial gardens, including: Maple Grove Cemetery on North Hillside Street, Resurrection Cemetery on North Maize Road, and Lakeview Cemetery on East 13th Street. Wichita accommodates a variety of places of worship including: Central Christian Church on North Rock Road, Eastminster Presbyterian Church on North Webb Road, Congregation Emanu-El on Central Avenue, the Islamic Society of Wichita on East 34th Street, and the Hindu Temple of Greater Wichita on North Zelta Street. The state laws of Kansas require that a death certificate must be filed with the local registrar before three days have elapsed. Embalming is obligatory if the burial or cremation is not to take place within 24 hours. There are no specific prohibitions on home or private burial, although most take place in established cemeteries. Likewise there are no state restrictions concerning the keeping or scattering of ashes. Most funeral homes in Wichita will be able to provide more information about these requirements. Search by area or ZIP code now to find Wichita funeral homes near you. Order search results by best rated, most reviewed or nearest to quickly and easily compare funeral homes. Click on a funeral home’s profile to read customer reviews, learn more about the services they provide, and get in touch to begin making funeral arrangements for your loved one.